If you are interested in any of these three topics, I highly recommend checking out the review of these books, as well as Connie's other sewing articles on Suite101. Crooked cutting means crooked seams, and your finished quilt can only look as good as your cutting allows. You can make sure you cut quilt fabric evenly by using a quilting ruler with a non-slip backing. The backing helps the ruler stay put, so it won't slide if you jiggle your hand a bit while cutting. Quilting rulers do not look like the foot-long rulers you probably used in school. They are kind of like a hand-held grid mat, marked or gauged with different shapes and varied measurements. While you can get metal or wood versions of this handy tool, if you work with a lot of color variations, look for a clear acrylic ruler with light markings on one side and dark markings on the other. This way, you only need to purchase one ruler. If you do not enjoy math calculations, look for a ruler pre-marked with a 1/4" seam allowance. If you end up with a ruler that does not have non-skid backing, which will be the case if you get a double-sided ruler, you can pick up non-skid adhesive discs or pads to stick on your quilting ruler as needed. While not taking the very top spot of importance, a good quilting ruler will prove to be one of your most valuable tools as a quilter, and will serve you well through making many beautiful quilts. Quilting Terminology: What is Bearding? Have you ever seen a quilt that has a fuzzy appearance because the batting is poking through the surface of the fabric? The batting sticking out is what quilters call bearding. If the batting color is close to the color of the fabric, it might not show very much. If, however, the batting color varies widely from the fabric color, it really stands out. Quilt image courtesy of Click and MorguFile. Bearding is most likely to occur if you make your quilt with loosely-woven fabric or if you use a needle that is too big. 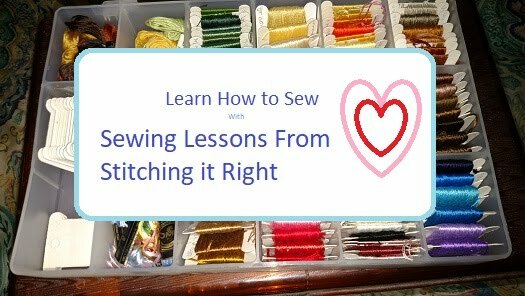 If you are quilting with loosely-woven fabric, either make sure to either use batting that matches the fabric or place a layer of light-weight lining between the fabric and batting. Also, make sure you are using a quilting needle that is the appropriate gauge for your project, so you are not making holes large enough for the batting to escape. Short of taking your quilt apart and replacing the bearded sections, you can't really get rid of bearding. That is obviously an impractical approach in most situations. However, you can improve the appearance of a bearded quilt by using a fabric shaver to remove most of the fibers that stick out.